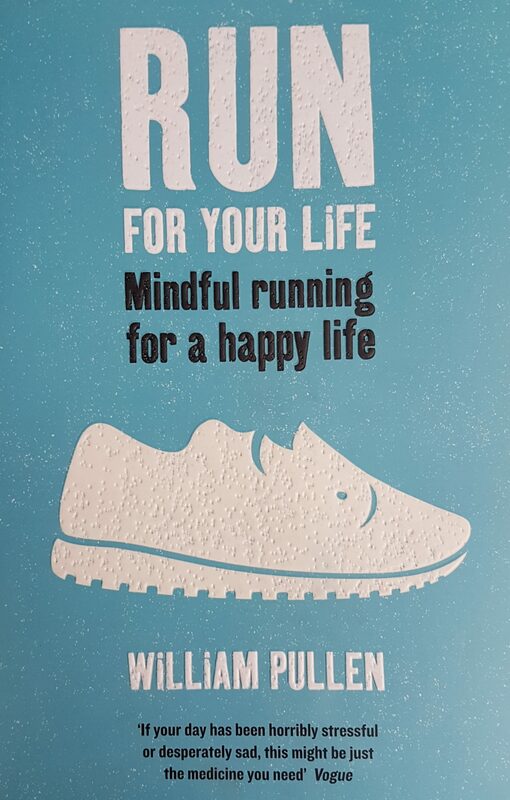 Earlier this year, I was very lucky to be gifted a copy of Run For Your Life, Mindful Running for a Happy Life, by author William Pullen. I started reading this book while still on crutches, unable to walk unaided and put my full weight on my (then) broken leg. So being able to implement the advice in this book soon became something to really look forward to. 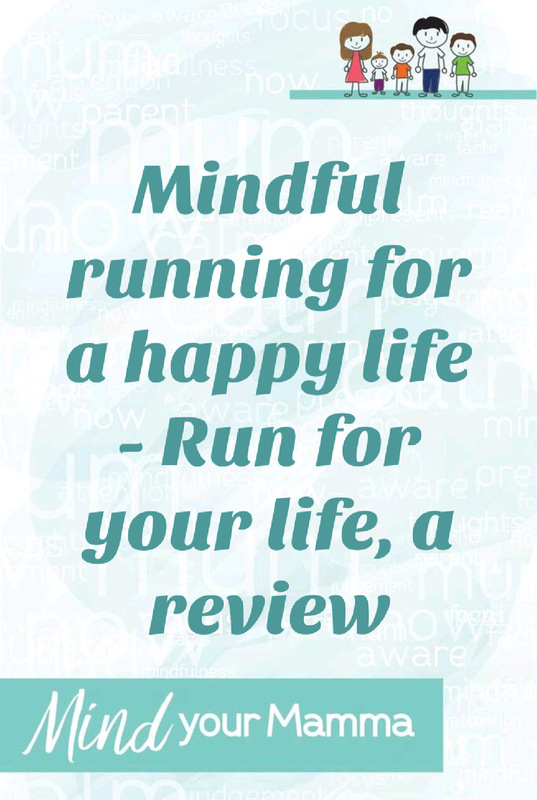 At the time I was reading and learning about mindfulness in every way I could, but mindful running? Or mindful movement? What was that all about? William Pullen is a psychotherapist who helps people dealing with anxiety, lack of motivation and addiction, to work through their issues using a method he devised called Dynamic Running Therapy, or DRT. Pullen developed this technique following his own experience. Years ago, when he first started running in Hyde Park in London, he slowly started to become more energised and filled “with a sense of possibility – the very opposite of the depressive thoughts [he] had felt before”. So a year since starting his own journey he embarked on a 6-year journey to train as a therapist himself. Through his own experience, his training, and his practice, he developed DRT. In a nutshell, “DRT is a powerful and engaging step-by-step therapeutic method for confronting difficult feelings and circumstances in your life through movement. By bringing together exercise, talk therapy, and the ancient wisdom of mindfulness, it allows you to return to healthy, fulfilled life.” DRT uses the movement of your body to get you closer to what’s going on inside you emotionally – it’s a more empowering and proactive route to recovery than traditional therapy. Movement is a key component to DRT. It’s healing – it’s “instinctive and written deep into our DNA”, and it’s a medicine “not just for the body but also for the mind and soul”. It helps to shift perspective – it provides clarity, hope, drive, and possibility. When we move, we feel more connected to our feelings, and with this practice, you “may begin to connect with feelings that are hidden deep down”. This, by the way, can be pleasant or painful, so the advice is to take it slowly, with no rush. “DRT is particularly useful for people who feel ‘stuck’ or worn down, or who suffer low mood, anxiety, stress or depression”. The act of moving in itself can ease the symptoms of these conditions by producing endorphins, which elevate our mood and thinking. In addition, DRT can provide a sense of empowerment, motivation, and accomplishment when you experience symptoms of stress, irritability, or tiredness, for example. When you relieve some of these symptoms you get a chance to look at the underlying situation and the root cause of these emotions. But I’d argue that everyone can benefit from DRT, because as Pullen states, if your aim is to achieve a particular goal or make a specific decision, you may find DRT useful. Through every running (or walking) session, you can focus on that specific objective you have in mind and create movement and progress towards it. Do you have to be a runner to practise DRT? No, anyone can do it. The only requirement, if you wish, is that whatever pace you choose has to challenge you physically. Simply strive to get your blood flowing a little faster, and that’s the intensity of movement you want to aim for. The important thing is quite literally to keep putting one foot in front of the other. What are the benefits of DRT? A more compassionate, gentle, and accepting relationship with yourself. Increased clarity, acceptance, and patience. Increased self-awareness – being more in touch with who you are and how you can better reach out to others. Learning to embrace life more fully and achieve our goals. Learning to value what is real in the here and now, not the stories that we tell ourselves. The body scan – you locate yourself in your own body in the here and now. Direct your attention to different parts of your body and become aware of the sensations you find there, without judging them or trying to change them. The environment scan – simply turn your attention away from your body and to the environment you’re sitting in, noticing everything that your senses pick up. The emotion scan – notice what you are feeling right now. 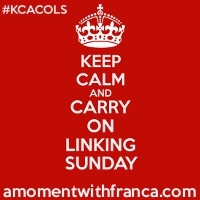 Priming – this is the bit when you reflect on what you want from the session. It’s important you do this as essentially it’s a question or aspect of your life that you want to explore during this session. DRT shares with mindfulness a belief that by acknowledging our feelings and thoughts we can stop overidentifying with them, and therefore we can stop feeling overwhelmed by them. Whether you’re walking or running, all you’re doing is acknowledging without judgement what comes up on your journey. Notice how you are with yourself. Be patient in the process, and self-acceptance will follow. If you notice some negative inner talk, acknowledge it, and move on. A big component of DRT is the reflection that follows your session. You can call it journaling if you wish, and what it allows you to do is to gain insight into yourself. All you have to do is to write down what came up for you during the session. Once it’s on paper, you’ll find a huge sense of relief, as it won’t be something you have to keep carrying only in your head or in your heart. Plus, your notes provide a record for your journey and therefore show your progress. If you take the time to summarise your journey at the end of it, rereading your notes may be highly revealing. Going alone or with someone else? This is entirely your choice. If you decide to go with someone else instinct will play a large role in finding the right partner. You may be worried about opening up to someone else, but you’ll also find that with the right person, the conversation will flow a lot more easily when you’re physically moving your body. Think about when you’ve naturally opened up to a friend during a walk or while running on the treadmill, when you’re both looking ahead, alongside each other. Of course, it has to be the right person for you – someone you feel you can allow yourself to be vulnerable with. And if you do choose to go with someone else, remember that your role is not to fix or comfort each other. One of you is talking, and one of you is listening. That’s it. When you’re listening, all you’re doing is being present and listening with empathy and no judgement. You’re not giving advice. Pullen dedicates a chapter of the book to each of the below categories, and in the book, you can also find a number of questions that you can ask yourself before you set out on your session. The idea is to pick the ones that resonate with you the most. If you want, you can use the book to record your thoughts and reflections after each session. 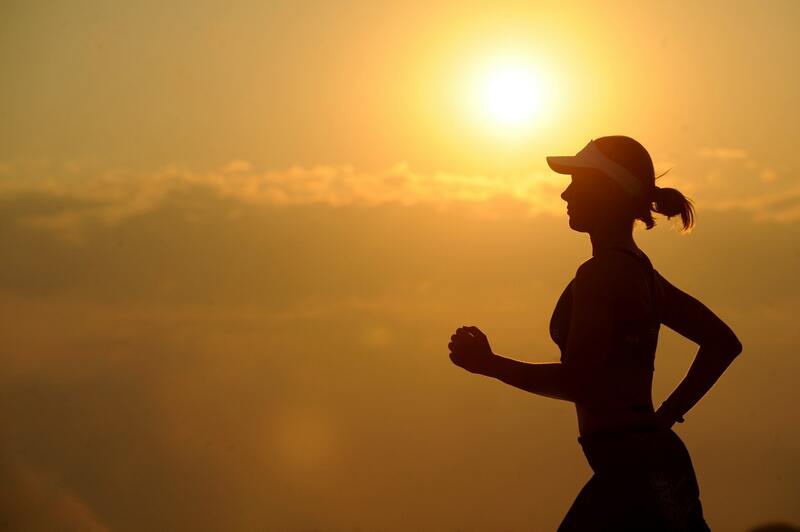 Although DRT may not be suitable if you have a diagnosis of severe depression, there is extensive research demonstrating the link between exercise and improved mood. On this journey, you will become more familiar with your thoughts, feelings, emotions, and perceptions, and you’ll be more equipped to make the changes you can see you want. Most of us tend to experience anxiety to a degree or another in our lives. The advice in the book is to embrace it where possible, rather than avoiding it. I know I’ve definitely been experiencing some anxiety following breaking my leg – that’s clearly anxiety created by a past trauma. DRT gets you to look at the assumptions, prejudices, and expectations that you experience in relationships, though an acknowledgement and acceptance of your true self. “Relating well with others begins with relating well with yourself.” After all, the focus of the practice is to relate to yourself in a kind and loving manner, with “unconditional positive regard”, empathy, and congruence. Pullen defines “unconditional positive regard” as simply “looking at yourself and others in a way that is positive, warm and accepting.” And in case you’re wondering about what “congruence” refers to, it’s being mindful about what you are feeling and sensing in order to help you just to without striving to get somewhere else or be someone else. “DRT provides a way for you to burn off some of that anger and look at where it comes from. By creating a closer relationship with yourself, DRT helps you to accept what might have felt unacceptable before.” After all, as hard as it can be, anger is just another emotion and another thought. And like all other emotions and thoughts, it comes and goes. With mindfulness, you can observe it without the need to act on it, and that’s the key. The decisions we make in life often tend to be based either on our intuition or on our reason. If we’re lucky, sometimes it’s a combination of both. When decision-making seems problematic, it may be a symptom of an underlying problem. By letting your practice regular decision making, DRT can help loosen up such rigid ways of thinking, so you can learn to listen to what is going on inside you. This is something I’ve definitely started to embrace, and I’d love to write about my own findings in the future. “Stick with the journey and you will get to where you need to go. It might not end where you thought it would, and it might take longer than you thought it would to get there, but persistence will pay off”. “The body benefits from movement, and the mind benefits from stillness. – Sakyong Mipham Rinpoche. I’m sure you can tell I’ve thoroughly enjoyed this book, and it’s one I’m going to refer to again and again. If the book sounds interesting, and you’d like to get yourself a copy, you can find it here. You can also find William Pullen on Twitter. Please note, I received a free copy of this book for the purpose of this post, but all opinions expressed are my own. Next Post House chores – how to make them less boring and more bearable? It does make very good sense, doesn’t it Fiona? So great to hear you run every day – wish I could do that! Oh yeay! Sounds great Kelly-Anne! Let us know how you find it! I know, I don’t run either, but walking is also as good!